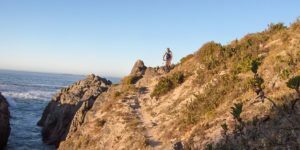 Looking back at over 25 years of mountain bike lifestyle and finishing 5 Cape Epics, got me wondering. Outsiders and those not in the know must look at this lot and think you are either superhuman, super fit or genetically gifted to be able to complete such a gruelling multi-day event. For the vast majority of average riders out there this is not the case. Sure there are factors and history there that make it all possible, but by enlarge it is just a sequence of normal events and progression that gets you there. Looking back at my own experience it must have all started with kids bikes that we had from an early age. Learning to ride a bike is one of the great liberating experiences in life. We were lucky to be able to grow up cycling in the streets with neighbourhood kids. From the age of 8 we cycled to school about a 5km distance, and continued to do that for almost my entire school career. All those years must have provided a solid foundation and muscle build up for my future cycling efforts. When BMXs came along they were the transportation of choice. For many years as a teenager I spent finding and riding dirt parks, jumps, water drainage systems and anything else that looked like you could get air off. I am so thankful for those days because the skills that I gained from spending all those hours doing crazy things has saved me a few times from rather spectacular wipe-outs. After school cycling was suddenly uncool, motorbikes and cars were the cool thing to have and drive. It took one of the Mecca’s of mountain biking, Lake Tahoe California, to kick start the mountain biking lifestyle. 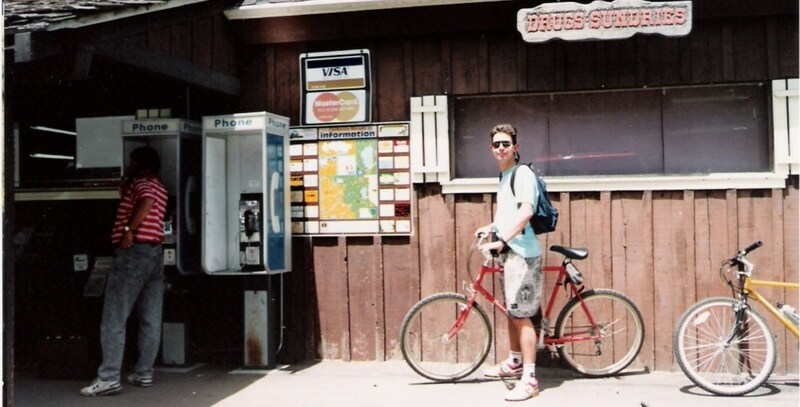 On a working holiday in the early 90’s I had my first real taste of mountain bikes, riding on trails around Lake Tahoe. Coming from BMX I was a bit weary of this big wheeled off road bike, it seemed so cumbersome and strange looking. Meanwhile back home my mate Dion and his brother Albert were getting into MTB as the movement was starting to gather momentum. Back in SA I bought my first mountain bike a Diamond Back Topanga in 1993. As a student at UCT I found myself back on a bike commuting up to varsity from Rondebosch, I was thankful for those extra gears. The hill climb everyday together with weekend rides in Tokai and Table mountain and out to Houtbay made up my regular cycling. Gauteng as my home base for many years so most of my early riding was done up north, for years we were real recreational riders. A group of us would get together on a Saturday or Sunday afternoon and ride trails in Rooihuiskraal or at the Lafarge (Rockhoppers Club) in Honeydew. Tekkies, open pedals and helmet-less heads were the way to go as we took over two hours to complete our 10-20km routes. There was no rush as lengthy water stops and frequent rest stops were part of the ride. Racing didn’t even cross our minds until one day someone said; “Hey why don’t we do one of those club races?” And so an era ended and another started. I clearly remember my first MTB race, it was the fun class at one of the regular Rockhoppers club cross country races. These races usually consisted of several loops of a 6-7 km route. The 20 odd kilometres seemed easy enough, but the speed and exertion required to stay at race pace was a real surprise. That was the start of the search for “How to train and race” information. I remember I came across a list of tips for your first MTB race, two tips stood out for me that are still valid today. Firstly check out your fellow riders see who is wearing and riding similar level kit to you, that will give you an idea of who you can benchmark yourself against. Secondly don’t start off trying to ride in front, pace yourself and ride according to your ability. Eventually I got the hang of the fun class races and then moved up into my normal age group and the inevitably longer distance. I still don’t remember any real training during this time, it was a case of pitch up and ride. The next progression was a marathon event. Dion, Albert and I agreed that this would be a good idea to up the level a notch. We had planned to do some race in the south of Joburg. For some reason, nerves and fear not excluded, I could not make race day so Dion and Albert went. Well they came back with war stories of note, kilometres of “gras bolle”, un-rideable portage sections and an all round gruelling experience. They said it was pain full but that they would be back again. The first real distance race that I did with training was the Cape Argus in 2000. The Argus cycle interest group on the internet proved to be the source of a training program based mainly on a distance build up to the event. This program was setup by a school friend of mine Greg who had done a few Argus cycle tours and had some experience. Strangely enough he was on the finish line in 2006 for Epic 2, fascinated at how we had managed to just complete over 900km in 8 days. The mountain biking bug had bitten, and 2001 and 2002 saw us travel to many mountain bike events around the country like Sun City, Sabie classic and Karoo to Coast. During this time I had been introduced to the Polar heart rate monitor. Initially I was sceptical about the “gimmick” of heart rate measurement and resisted. Eventually I gave in and purchased the base model at the time with own code, the M52? I always used it and found it interesting but never really knew what I was doing. In early 2003 we reached the next defining moment. The Subaru Sabie Classic is a tough race, but in 2003 it was somehow tougher than ever at a distance of 85km. I am sure it was one of the toughest race routes ever. After completing the 2002 event in just under 5 hours, it took me 6:24 to finish the 2003 event. Albert was missing, he had missed the cut-off and not even the sweep vehicle had him on. He eventually rode in after his worst 7 something hour ordeal ever. We had all trained for this event and after 2 years of competing, we had expected slightly better results. Our only conclusion, was that it was not possible for average guys like us to complete these long marathon events. It seemed like we would have to concentrate on half marathon races as they would be more manageable. That’s where we left it. Then somehow as if guided by the training gods I stumbled across the Polar heart rate workshops. It must have been after one of my many interesting discussions with Peter from Polar SA. I promptly booked myself on the next 2 day course. What I learned there laid the foundation for an effective program that has seen us improve our race results significantly year after year and been the basis of our Cape Epic success. The critical point being to learn how and why we train a certain way. Once I had that understanding everything became quite clear and I started applying the principles and seeing the results. Albert was the first one to switch to these training programs and suddenly his results improved dramatically. So I guess when I look back there were many things that led up to us getting into and staying in the Epic. 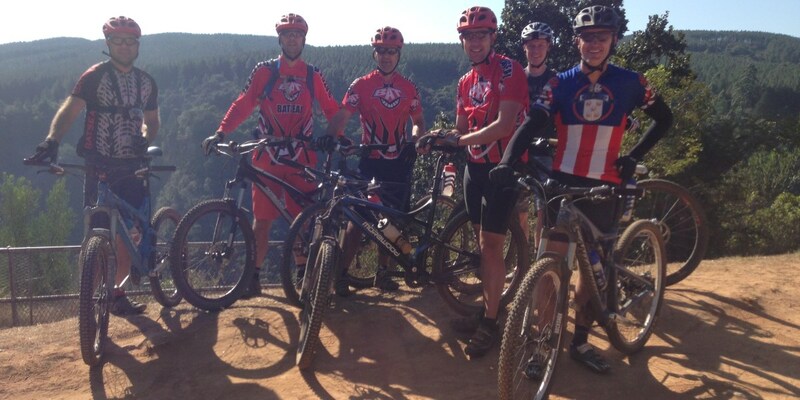 After 4 epics we took a break, there were a few Sani2c races some Attakwas events and a Trans Baviaans. During this time life had also started to catch up with me with kids and other responsibilities , but we were eventually back for another 5th epic in 2012. Since then its been onto other events for some variety like Wines2whales, Route66, 3towers, Tankwa trek and most recently a Joberg2c event. Big Al in the meantime gas been getting longer and longer travel bikes and now rides almost only Enduro events. But a lot of it must be common to many people out there riding bikes everyday. At the end of the day we are all just keen to get on our bikes and ride as much as we can. We are just average guys and whatever we have achieved is possible by anyone riding a bike.